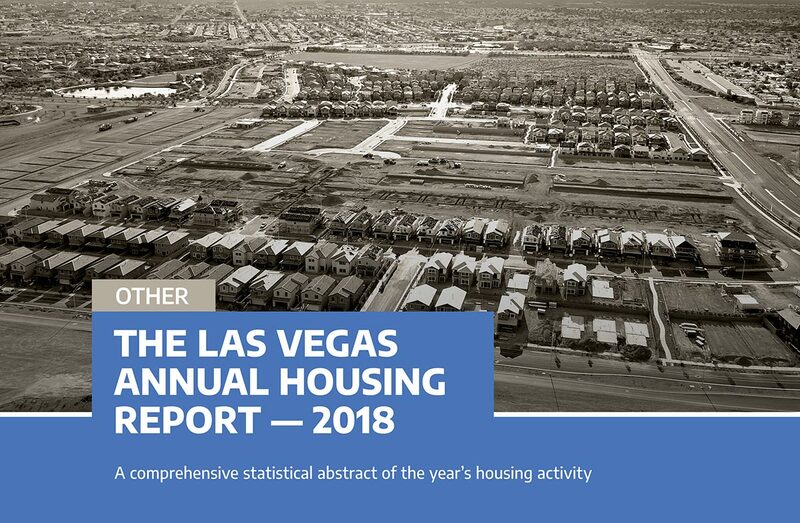 The Las Vegas Annual Housing Report – 2018 - Home Builders Research, Inc.
A comprehensive statistical abstract of the year’s housing activity. 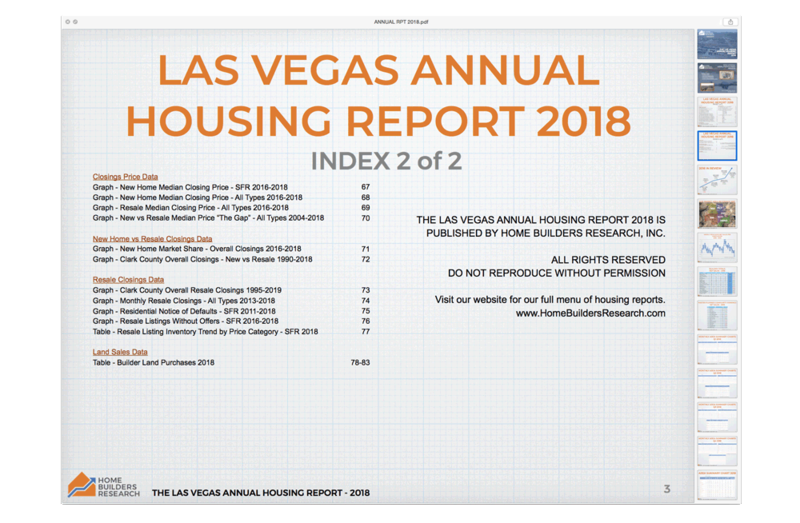 Includes builder rankings, master planned community performance and rankings, market segmentation, activity by housing market area and price range, builder and subdivision market share and performance, and much more. This .pdf file contains clickable links on the index pages to quickly access the data. 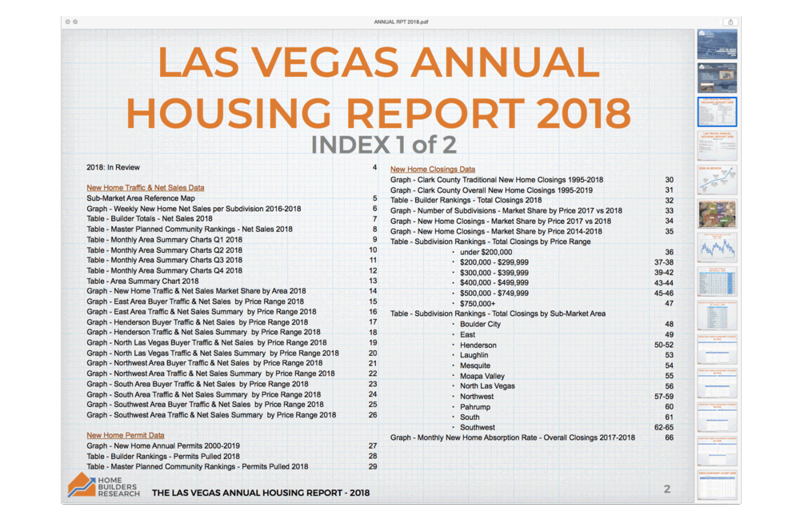 See the accompanying Index sample images for a full list of the data in the report.